For many years the Sandcastle at the Pavilion has earned the reputation of "the Place to be" in Myrtle Beach - and rightly so! Not only are we within easy walking distance of the attractions, but we also feature excellent facilities to enjoy at the hotel. The Sandcastle South Beach's, oceanfront location, where all the sun-drenched pleasures of powder-white and dappled blue waves at your doorstep. Our tranquil resort offers a variety of comfortable accommodations to suit every vacationer's needs. 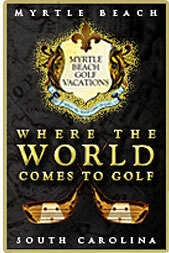 With all the delights of the Grand Strand, Myrtle Beach and Sandcastle Resort together create memories that last all year long. Jonathan Harbour offers families and guests an ideal setting for an unforgettable family vacation. Our quaint oceanfront location offers a variety of clean, comfortable accommodations for families and groups of all sizes. With great family amenities like our amenitiesindoor and outdoor pools, large kiddie pool, relaxing sun deck and exercise facility, you won't ever have to leave the property to enjoy a relaxing and fun-filled vacation.